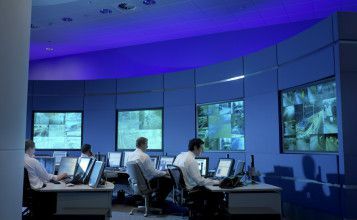 Software and CCTV Camera compatibility and in-life maintenance between the many different software systems and CCTV cameras used in a CCTV command control, need cross-company collaboration to resolve. Technical and Operational CCTV training and support for security staff need to be provided separately by each software and CCTV camera vendor. Viseum UK delivers the world’s only all-in-one, end-to-end and integrated software systems to optimize all new and existing legacy CCTV cameras, all security devices and security management processes. The number of people attending our CCTV Training will depend on our initial research for delivering your project e.g. to understand the operational processes, staff working hours/shift patterns, and existing skillsets. The number to be trained is not restricted, and the result will ensure the project is optimised for success. We are confident that the modern security practitioner recognises that Viseum represents a paradigm shift in security, surveillance and video analytics capability. It is of paramount importance that Viseum’s standards continue to be applied within the international network. Therefore Certified Partners should note that this package is designed to train experienced (and where required – certified) professionals in the unique aspects of their new Viseum role. This training package is designed to train and empower Certified Partners to conduct devolved training and distribution activity, in order to support the growth of the Viseum network within their own region. This package has been designed using an intellectually rigorous methodology to identify measurable objectives. 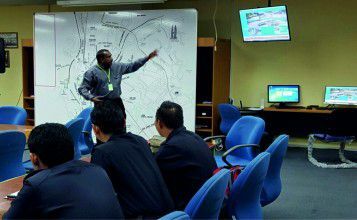 Trainees are expected to be instructed and tested in a professional manner. Only upon completion of the course and passing of attitudinal and performance goals, will the trainee (or distributor organisation) be deemed to be accredited. Viseum UK reserves the right to evaluate both external training delivery and the standards of performance of certified distributors and integrators. Should this performance fall below the standards expected, Viseum reserves the right to insist upon remedial training or process rectification. 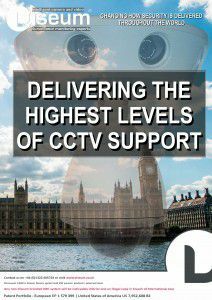 Our London CCTV operator training helps security enterprise deliver stronger operational security with far fewer CCTV operators than any other technical solution. 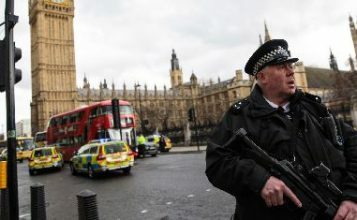 Security staff and Emergency Services have instantaneous Situational Awareness and Decision Support, and the judiciary can be furnished with a continuous, unbroken and irrefutable thread of video evidence. Our holistically integrated CCTV surveillance security systems significantly outperform any other crime reduction methods. We deliver the strongest possible deterrent and the most effective video surveillance cameras, to protect assets, property, staff and customers of any sized public or commercial activity. Viseum’s formal training is usually included with all major project deliveries (600+ cameras). Viseum CiVMS iVOS F3 – Person Tracking. Viseum CiVMS iVOS FaceRec – Person ID Confirmation. 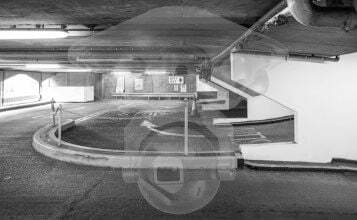 Viseum CiVMS iVOS ANPR – Automated Vehicle Number Plate Recognition. The large number of surveillance and security uses of Viseum’s iVOS F3 functionality, operating with iVOS FaceRec and/or iVOS ANPR, make it impractical to provide a full training package for each application. These training packages are therefore custom-made for each specific end user’s security project requirements, and technical support manuals are tailored to suit each partner’s technical knowledge and desired capabilities. Viseum Certified CCTV Training will deliver the most advanced surveillance camera in the world working hand-in-hand with leading remote surveillance monitoring software, to produce the fastest and most accurate complete end-to-end security service. 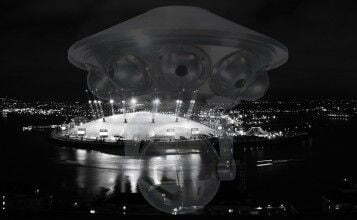 Viseum’s intelligent cameras provide constantly vigilant surveillance for the protected remote site 24/7/365. It uniquely produces close-up video of the incident even before the initial alarm is sent to the remote monitoring service. The incident can then be reported in sufficient detail for it to be dealt with in the most rapid and efficient way possible.